At the center of his work designed for the exhibition “In Their Eyes..”, is the sharing of a personal historical memory. Within the work Memory, the artist’s approach is based on anthropological research into the differences and commonalities of individual experience. 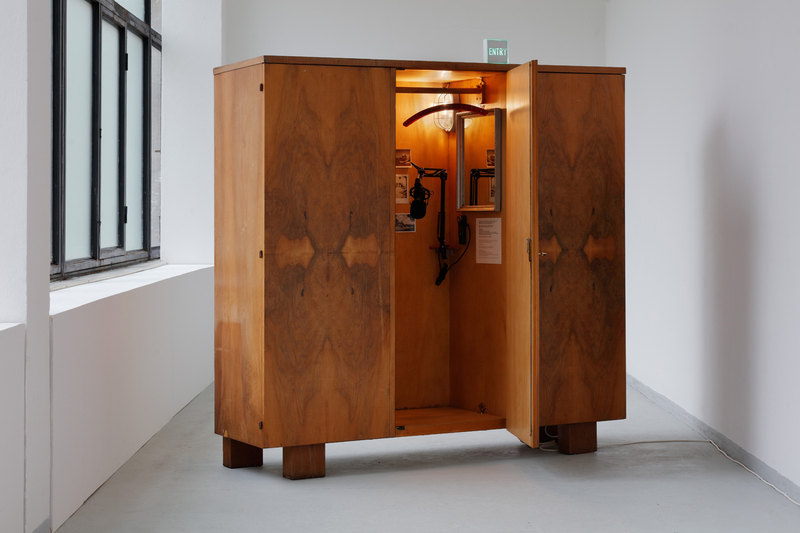 Visitors are invited to enter a large wardrobe where the artist has created an intimate situation. In this situation (reminiscent of childhood, when children begin to look into cabinets) visitors stand in front of a mirror, as a bilingual questionnaire that asks them to answer in front of a microphone, which must be activated by pressing a red button. Some photos from the artist’s family archive appear on the inner wall of the closet, which recalls the personal dimension of the project. One image shows a Balilla house in northern Italy, while another depicts the Viennese Parliament surrounded by Nazi swastikas.